Throughout our lives, if we are lucky, we have experiences so extraordinary they become etched in our minds. These experiences seep deep into our memories, so as to almost leave a tiny pocket filled with retrievable images, emotions, scents and flavors that we can call upon when we feel the need to slip back in time if only for awhile. 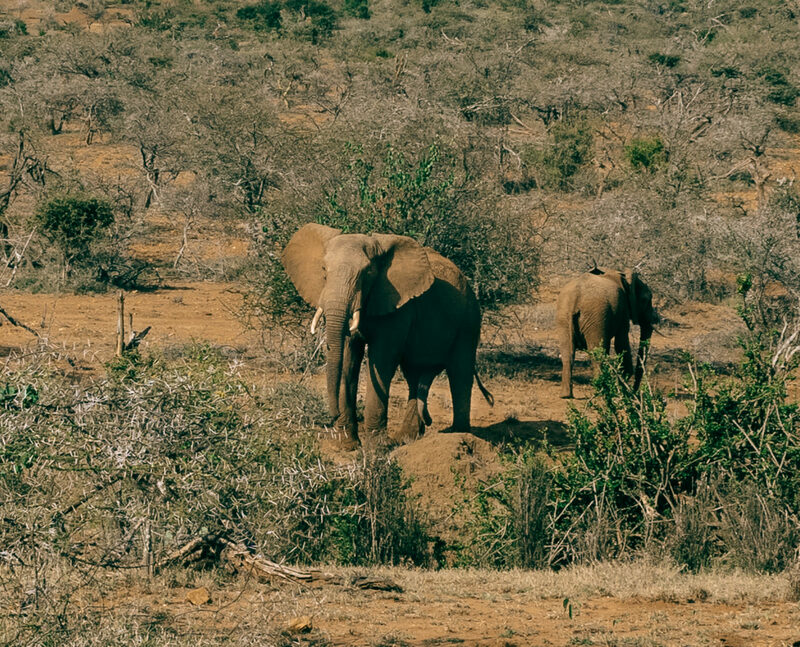 A recent trip to Kenya produced a handful of these moments while staying in the bush for a little R&R. 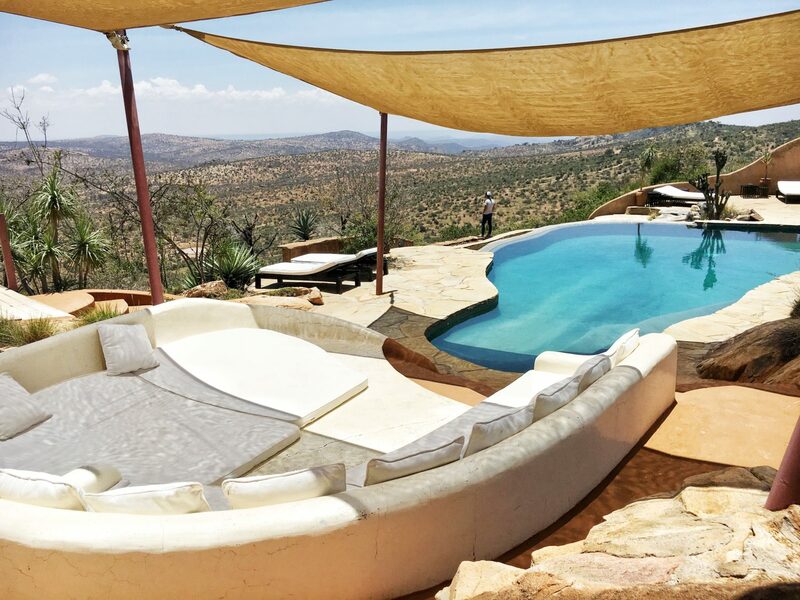 The Sanctuary at Ol Lentille, four private, fully staffed houses located within the 45,000-acre Ol Lentille Conservancy in Laikipia district served as our home for three nights. 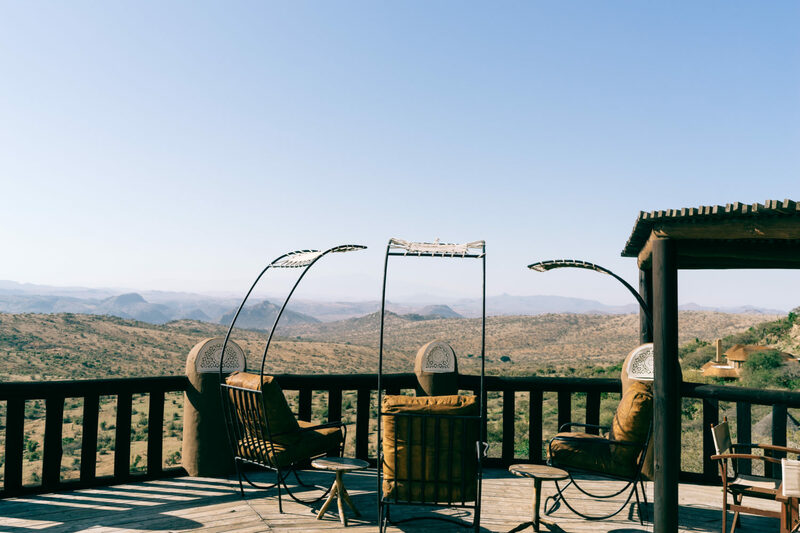 Perched high on vast layers of wooded kopjes the panoramic view from almost anywhere on the property looks out to miles of hauntingly beautiful wilderness. The eyes can trace a vast slope leading down to the red earth of a tree-studded valley and back up and down again over many magnificent ridges and valleys. To the south stands Mt Kenya; her majestic peak visible on a clear day. Here, the view never gets old. 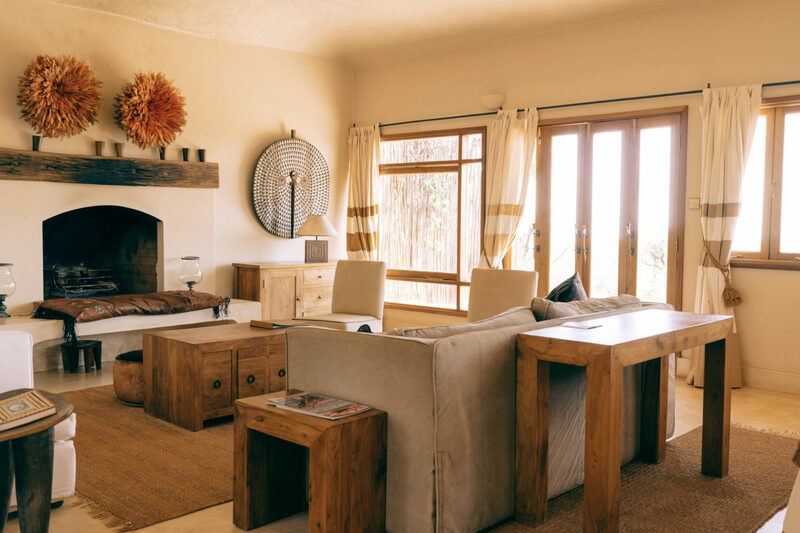 Our home for three nights was The Eyrie house – three stand alone rooms with separate entrances (dining, living and bedroom with private bath and rain shower) – stylishly dressed in African retro décor. 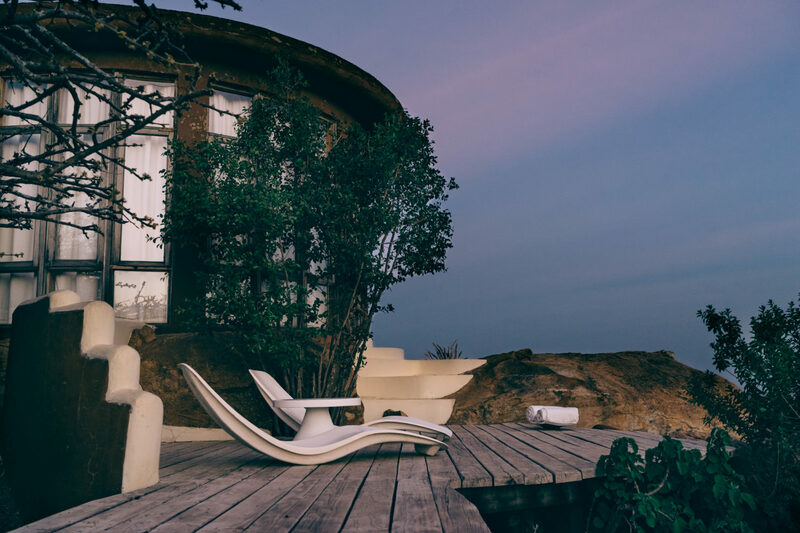 Each house on the property has its own staff including a butler, valet, guide and askari. For us, the staff felt like family, welcoming us home and chatting with us during meals as they offered some of the most delicious dishes we’ve ever enjoyed. A few of Anthony’s and my favorites were the carrot butternut soup, mushroom stroganoff, their signature banana smoothie and for dessert, lavender panna cotta made with lavender grown onsite. Neither Anthony nor I eat dairy and the kitchen was extremely mindful of our allergies. Having all that you need at your house makes it difficult to leave. Not to mention that our bedroom had the most incredible view. Waking to watch the sun rise was the perfect way to ease into the day: Lifting my head from the pillow, I scooted up a bit, laid back and watched as a vast deep red glow hypnotized the rocky landscape calling upon birds, insects and small mammals to sing the chorus of a new day. Anthony would kindly open the French doors so we could take it all in – sights, sounds and the scent of morning dew – before the sun made her grand appearance. Afternoons were spent lazing by the pool or browsing the library for an interesting novel or memoir. Thankfully we didn’t feel as if we were missing out on the view from our house because it followed us wherever we went, possibly becoming even more spectacular from different points on the property. There is a saying at Ol Lentille, “Anytime, Anywhere Your Home in the Bush” and they mean it. 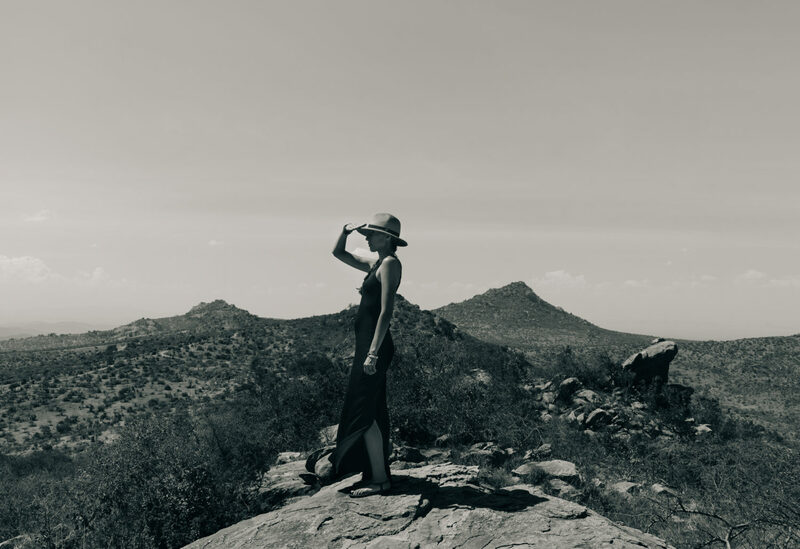 Guests can dine almost anywhere and experience nature and the conservancy in a multitude of ways – from bush walks, runs and cycling to traditional game drives with sundowners in areas with views so beautiful you might shed a tear. 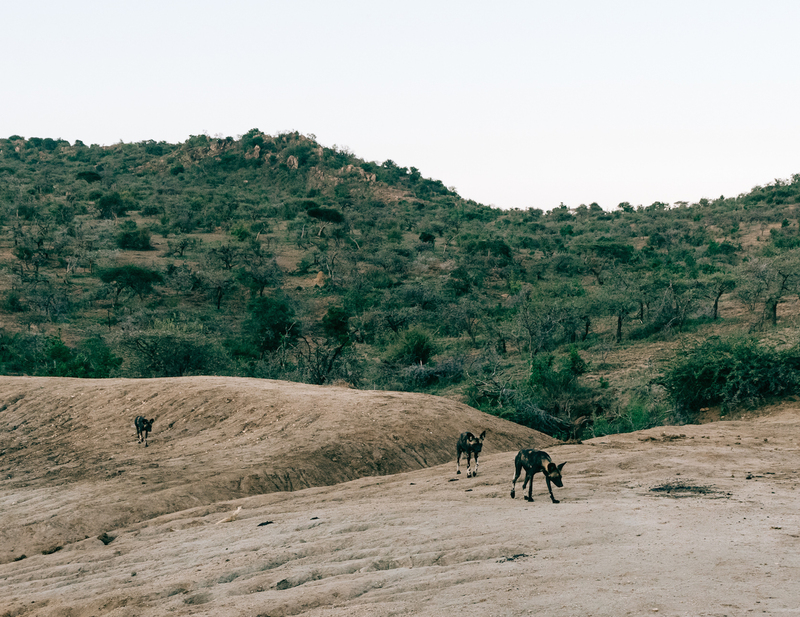 During one of our game drives, we came across a pack of wild dogs, a rarity to see, and ended our evening watching elephants congregate at a watering hole from the comfort of a lounger outside our house. You can also choose from a variety of holistic spa treatments to enjoy at your leisure –morning, noon or in the evening. One of the most incredible aspects of staying at The Sanctuary at Ol Lentille is that you are supporting a community-owned property. 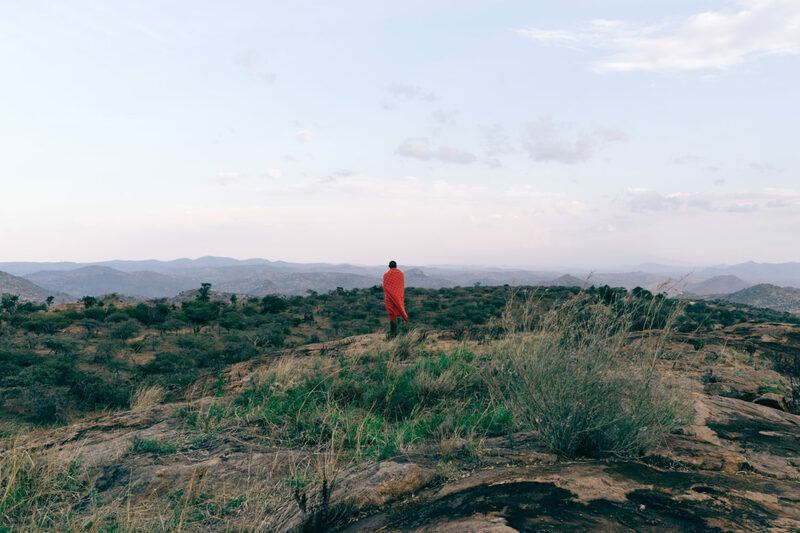 The Masai and Samburu communities living around the 45,000 acres of the conservancy have offered their land as part of this collective effort of eco-tourism, conservation and community development. 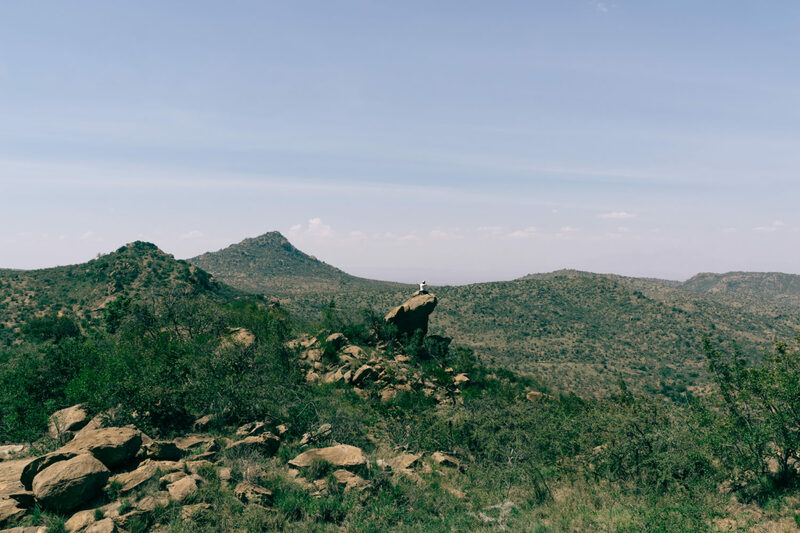 The community at large designates livestock quotas, rotational grazing areas, and separate settlement areas – resulting in good wildlife populations in non-protected areas, and bigger stronger livestock able to better withstand perennial drought. The community also manages its tourism business and its conservancy for the long-term. 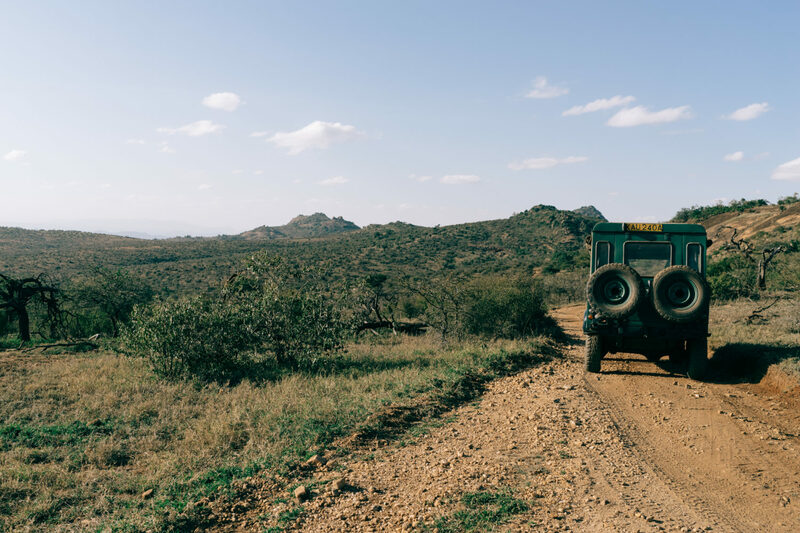 British couple John and Gill Elias developed the idea for this impactful tourism and conservation initiative. 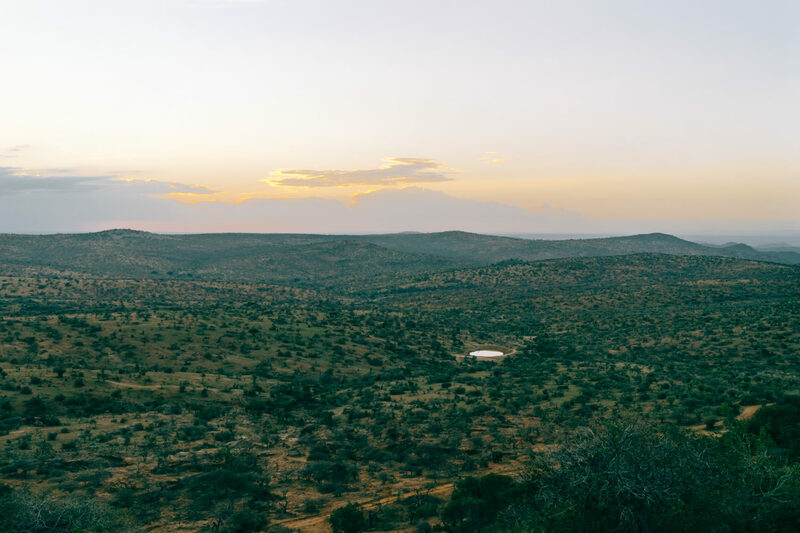 The couple’s vision for The Sanctuary at Ol Lentille was rooted in the desire to marry tourism and conservation in an effort to preserve nature while benefiting the local communities that live with the conservancy. 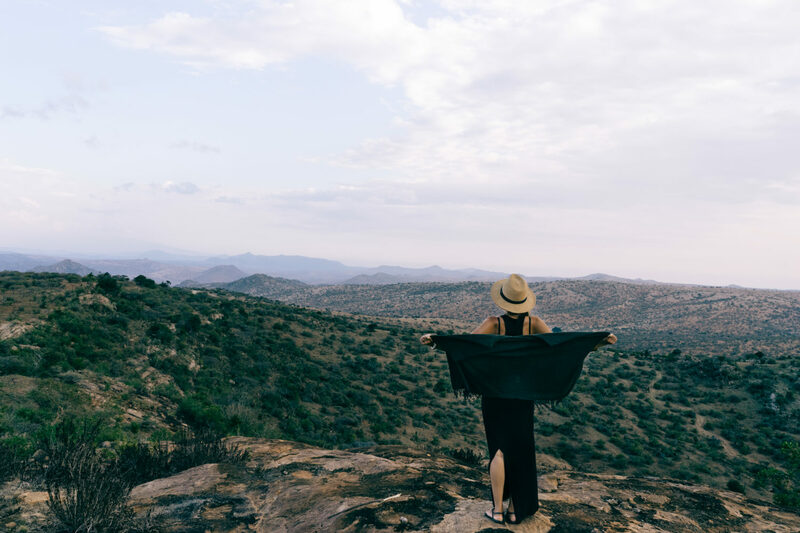 The Ol Lentille Trust was formed in partnership with the Masai and Samburu communities to fund community healthcare programs and supports local schools, through community-based conservation programs and a leading edge model of eco-tourism and enterprise. Three nursery schools, eight primary schools and a secondary school along with several water projects are supported by the Trust. Primary healthcare is provided at a small government hospital (with 12 mobile clinics monthly) recently completed by the Ol Lentille Trust. The community supports and fosters entrepreneurship, welcoming business angels to invest in new ideas. *Our stay was sponsored by the lodge. Opinions are our own.